RBC Mid-Market M&A is the largest dedicated Mid-Market M&A team among Canadian banks, and is part of the National Client Group. The team is focused on providing advice with respect to divestitures, acquisitions, and buyouts or private companies. The team has experienced steady growth and is seeking an experienced M&A professional to join the Alberta team to support continued growth. As a senior level Mergers and Acquisitions professional, this role will be responsible for interacting with business owners at companies in the Alberta, Saskatchewan and Manitoba markets and with RBC colleagues to identify, pitch, win and close M&A mandates. 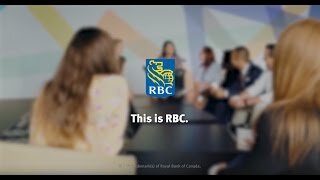 You will work both independently and in conjunction with other members of RBC Royal Bank to build a sustainable business. We are looking for someone who has extensive experience dealing with entrepreneurial clients, has a proven track record of building trust through collaboration and delivering value added advice with confidence, and winning business in competitive situations. Applicants should have a demonstrated ability to successfully originate, win and close mandates related to the group's advisory services and share a passion for working with privately held, owner-manager based businesses. Strong preference for professionals with previous M&A experience, with high quality standards and an honest, thoughtful approach to developing and extending RBC client relationships.